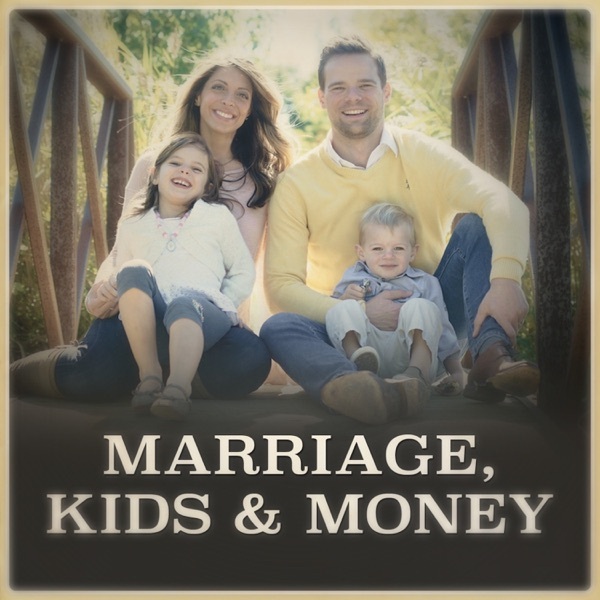 Marriage, Kids and Money | Listen Free on Castbox. In mid-2016, I had a pretty rough day at work. My new manager called me into his office to inform me that there would be some changes with my position. A position that I had grown to enjoy. I was proud to have built a team of 3 based on some solid sales wins that … Continue reading "How a Bad Day at Work Inspired Our Family’s Financial Independence Plan"The post How a Bad Day at Work Inspired Our Family’s Financial Independence Plan appeared first on Marriage, Kids and Money. The term side hustle has gained a lot of attention lately. This is something outside of your full-time job that gives you more income and potentially more happiness. To inspire us to think outside of the walls of our 9-5, I’ve invited the host of the Side Hustle Show, Nick Loper, on the show today. … Continue reading "Side Hustles and The Life-Defining Lessons We Learn From Them – with Nick Loper"The post Side Hustles and The Life-Defining Lessons We Learn From Them – with Nick Loper appeared first on Marriage, Kids and Money. Our question of the month comes in from Anonymous from Cleveland: Hi Andy, I just finished reading an article of yours about paying off your mortgage early. Congratulations on that. I have a 30-year mortgage and I’m not sure if I want to pay it off, but it got me thinking about where I should … Continue reading "14 Money Goals to Accomplish Before You Turn 40"The post 14 Money Goals to Accomplish Before You Turn 40 appeared first on Marriage, Kids and Money. Investing in real estate can feel intimidating when you’re just getting started. You hear stories of people who’ve amassed their wealth by investing in dozens or hundreds of rental properties. The prospect of owning so many properties can feel more stressful than hopeful. Our guest today, Doc G, shares why we don’t need countless rentals … Continue reading "How Real Estate Helped This Multimillionaire Dad Build Wealth – with Doc G"The post How Real Estate Helped This Multimillionaire Dad Build Wealth – with Doc G appeared first on Marriage, Kids and Money. For the young couples and parents that are reading this, I think it’s safe to say that a whole bunch of you are looking for a little more freedom and fun in your lives. And I truly believe that when you become debt free, you will experience that freedom. You’ll also experience a reduction of … Continue reading "7 Dreams That Can Come True When You’re Debt Free"The post 7 Dreams That Can Come True When You’re Debt Free appeared first on Marriage, Kids and Money. With nearly 80% of Americans living paycheck to paycheck, most of us could use some help with saving a bit more. Our guest today, Jen Smith, is going to show us how. Jen and her husband paid off $78,000 of debt in just under two years. A huge factor in their success was taking advantage … Continue reading "How “No Spend Challenges” Helped One Woman Eliminate $78,000 of Debt – with Jen Smith"The post How “No Spend Challenges” Helped One Woman Eliminate $78,000 of Debt – with Jen Smith appeared first on Marriage, Kids and Money. Our question of the month comes in from Anonymous … we’ll just call her Jane Dough: Andy! Help! We make $120,000 per year, but we spend nearly all of it. We want to get rid of our student loans, but there’s just no money left at the end of the month. And retirement … we’re … Continue reading "15 Ways to Save More Money When You’re Living Paycheck to Paycheck"The post 15 Ways to Save More Money When You’re Living Paycheck to Paycheck appeared first on Marriage, Kids and Money. Our kid’s education is important. The time they spend in school can help them determine their plans for college and their future careers. But is our kid’s school situation the best it can be? Are they really learning? Are we actually preparing them for current global economy? According to our guest today, time’s are changing … Continue reading "Transforming Education to Give Our Kids a Better Future – with Emma Perez"The post Transforming Education to Give Our Kids a Better Future – with Emma Perez appeared first on Marriage, Kids and Money. With our country currently drowning in $1.5 Trillion of student debt, it’s fair to say we have a big problem on our hands. This problem is hitting home as well. Couples are delaying marriage, delaying having a baby and even strategically getting divorced to lessen the burden of their student loans. If you’re listening to … Continue reading "How Refinancing and Loan Forgiveness Can Help Your Big Student Debt Problem – with Travis Hornsby"The post How Refinancing and Loan Forgiveness Can Help Your Big Student Debt Problem – with Travis Hornsby appeared first on Marriage, Kids and Money. For some people, their pile of debt can feel so huge that paying it off just feels like fiction. It feels impossible. It feels overwhelming. Well today, I’ve invited someone on the show who felt the same exact way, but then she took action and won the battle against her debt. Allison Baggerly and her … Continue reading "Over $100,000 of Debt Destroyed on a Teacher’s Salary – with Allison Baggerly"The post Over $100,000 of Debt Destroyed on a Teacher’s Salary – with Allison Baggerly appeared first on Marriage, Kids and Money.